This is an easy and incredibly flavorful way to prepare boneless skinless chicken breasts. This is an easy and incredibly flavorful way to prepare boneless skinless chicken breasts. I can’t claim it’s authentic, but the spices make it taste decidedly Moroccan, and it also goes wonderfully with couscous. You might think it sounds too exotic-tasting for picky eaters, but even small children seem to love it. And the best part is that it only takes minutes to prepare and there’s barely any clean up. Begin by pounding the chicken breasts to an even 1/2-inch thickness. This both tenderizes the meat and ensures even cooking. Next, make the marinade by combining the olive oil, spices, salt, garlic and sugar in a bowl or directly in a sealable plastic bag. Place the chicken and marinade in a freezer bag, press the air out and then massage the marinade into the chicken until the breasts are evenly coated. Marinate in the fridge for 5-6 hours. When you’re ready to eat, preheat your grill to high. It’s important that the grill is very hot — you want nice grill marks and char in the short amount of time it takes to cook these. Grill just a few minutes per side for perfectly tender chicken breasts. Mix all ingredients except chicken together in a small bowl or measuring cup. Place pounded chicken breasts inside 1 gallon zip-lock bag. Add marinade to the bag, press air out and seal shut. Massage marinade into the breasts until evenly coated. Place the bag in a bowl in the refrigerator (to protect against leakage), and let the chicken marinate for 5-6 hours. Clean grill and preheat to high. Place chicken breasts on grill, spooning marinade over top. Grill, covered, for 2-3 minutes per side. Do not overcook. My family’s new favorite chicken recipe! Flavor packed. We make it with the recommended couscous. Stick to the recipe. It is perfection! Good idea to double down on everything. It disappears very fast! I made this for my sister’s Moroccan themed baby shower after scouring the internet looking for Moroccan dishes. The chicken was perfect and many of the guests were wanting to know how I made it. Made this recently for company, one of whom can’t eat gluten, soy or dairy. Was so easy and delicious. Served it with the carrot chickpea salad on this site which was equally yummy. Thanks Jen for all your wonderful recipes. Yours is the first site I go to when looking for new recipes. Do you use sweet paprika or smoked? Have you tried this marinade on lamb? Do you think that would be good? Hi Joanna, I haven’t tried this with lamb, but I think it would work nicely! This was delicious and easy using chicken tenders. We make a lot of moroccan tagines so love the flavors. This recipe was a lot easier and great for a quick dinner on the grill. Putting this into our “go-to” for ourselves and for company. A winner! This is my family’s favorite recipe. It is a tried and true recipe. The chicken always comes out moist and flavorful. All of the spices marry perfectly together to make boneless, skinless chicken the best! This chicken pairs well with saffron rice and steamed green beans. Yum, I loved this! Chicken turned out great with amazing flavor. This might be the best chicken breast I’ve ever had in my life. I served it with the Apricot Couscous and Greek yogurt lemon sauce. I love finding a new recipe to keep forever. This was amazing! Two days later hubby asked to have it again. Fit in with my WW also. Paired it with Moroccan chickpea stuffed acorn squash. This recipe is a must try…easy, flavorful and healthy! 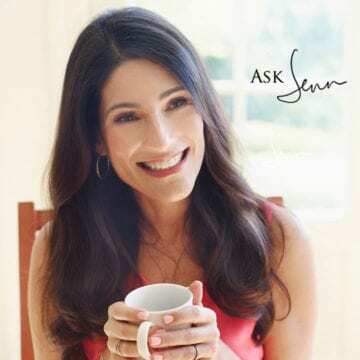 Jen, I love all your recipes, yours is my go to website. I want to make your Morrocan Chicken but wonder if I can use boneless chicken thighs instead of boneless chicken breasts. Would the cooking time be the same? Hi Nancy, so glad you enjoy the recipes! Yes, you can use boneless thighs here. Cooking time may be just a touch longer, but keep an eye on them. Enjoy! This is phenomenal. I marinated the thighs for 2 days and they were terrific. My husband ate 3 skewers – I have never seen him go so wild for chicken before! Can this be marinated overnight vs 5-6 hours? Yep – hope you enjoy! This recipe was so delicious that my picky kids even wanted to eat it again. I didnt even need to marinate for more than an hour and still had a wonderful taste. I use this for gyros. Get some pita bread, yogurt sauce and this! So easy and delicious! I forgot – I would, of course, use boneless skinless thighs. Hi Jenn! How do you think this recipe would work with boneless thighs under the broiler? Thank you! Yes, Carol, I think that will work. I’d use the broiling instructions from this Broiled Spicy Chicken Thighs recipe (although you obviously won’t need to add a glaze at the end). 🙂 Hope you enjoy! I used this recipe but sliced the chicken and stir-fried it instead of grilling. The meat was tender and the spice mix was delicious. I’ll be making this one again! Very good. I had planned to use the outdoor grill, but it looked like rain so I used a George Forman grill, heated it for 10 minutes, then put the chicken on and cooked it with the lid down for 7 minutes. I was perfectly cooked, tender and juicy. Always on the lookout for good chicken recipe. Plus, the spices are what I always have on hand. Will make again. Hi Jen! I have a grill pan instead of a grill. Is there a trick to cover a grill pan instead of just closing the lid to a grill? I want to make sure the chicken stays moist. Also, can the chicken be kept marinating in the fridge for more than 5-6 hours or will that affect the texture? Thanks! This is a winner and keeper!!! So easy and absolutely delicious, my family of 4 love this dish. Moist chicken full of flavor with minimal prep and work!! The combination of spices is perfect! Jenn, this is by far a FABULOUS recipe that my family never tires of and is requested almost WEEKLY by my daughter. Things that I changed are just minor, like not using all the salt (we are watching the sodium) using chicken tenders instead of breasts and I don’t have a grill, so I just pan fry until dark golden brown in my Le Creuset no stick skillet then finish in the oven. The aroma from the spices while cooking is EUPHORIC….REALLY!!!! It is truly HEAVENLY. … And served with Warm Couscous Salad with Apricot Vinaigrette, another WINNER from your website, and fresh steamed green beans or salad, it is an OUTSTANDING meal I am sure everyone would truly enjoy!! Big THANKS and TEN STARS to you, Jenn!!! I have made this a few times. It is more intensely flavored than the Middle Eastern Chicken Kebob recipe. It is very good and avoids the boring chicken situation at summer BBQs. I serve with the rice pilaf recipe from this site and I have had leftovers in a naan sandwich with yogurt and plain shredded cabbage. This recipe will become a new family favorite for many years to come. This is one of the most favorable chicken dishes I have ever had. I make the recipe as stated. It is so easy to make two batches for lunches and it goes well on salads. Made this yummy dish today for supper. EASY & very, very flavourful. My hubby thought it was delicious as did I. The spices really work nicely together. Not spicy for our family. I added the cayenne & my kids 2 & 6 ate it no problem. This was a perfect accompaniment to your cous cous salad with apricot. Such an easy weeknight meal that tastes awesome!!! One more thing….I was apprehensive while making marinade that it wasn’t going to be enough/flavour wasn’t going to be strong enough but it was perfect!!! Perfect – loved this. Followed the recipe and had tasty chicken. Served with Moroccan-style roasted veggies. Yummy! Amazing and super easy! I simplified by making the marinade and letting my chicken breast thaw in the marinade and simply baked in the oven for an hour. Flavourful, moist, and great in our lunches the next day. This ones is a keeper at our house. Thank You Jen. Love this recipe! Comes together quick and is very flavourful. I made this up at the cottage this summer for a big crowd with your basmati pilaf and roasted veggies on the BBQ and it was a huge hit. Lots of compliments from the adults and all the kiddos (even the notoriously picky ones!). Thank you again Jen for being my go-to girl for recipes every.time.now! You have never steered me wrong! Thank you for your great blog, I’m having great success with the recipes I have so far tried. Some while ago I had an op which damaged part of my brain causing random memory loss. After enjoying cooking for many years I just couldn’t make things work out but the clear and easy way you present your web site helps me tremendously. Thank you so much I’m starting to feel much more confident now. Does the recipe call for ground ginger or fresh minced ginger? All the spices are ground, Kristen. Sorry about that – recipe has been updated :). Sure, Deborah — you could broil the chicken in the oven. This chicken is MARVELOUS !!! And the spice blend is so MYSTERIOUSLY AMAZING and DELICIOUS!!! Served with Warm Couscous Salad with Apricot Vinaigrette from this website, it is OUT OF THIS WORLD!!! THANKS JEN!!! Yummy! Added the juice of a lemon and a kick of crushed red to amp up the heat. Used b/s-less chicken thighs cut into thirds and skewered. Served with couscous with a spoonful of harrisa stirred in and grilled veg. A keeper! This is amazing! I’ve started using up spare chicken breasts by mixing them with this marinade and freezing them in vacuum sealed bags. It’s such a good way to make sure the extra chicken doesn’t go to waste, and you can take it out of the freezer the night before for a delicious, quick dinner! I cut up chicken into large cubes. Mixed chicken with marinade in a glass bowl and refrigerated for s couple of hours. Skewered chicken and grilled. Served with couscous and asparagus. It was wonderful and took very little time. This is so easy and the family loves it. Great to freeze the chicken pieces before cooking and thaw when needed. Thanks from my family! What would you advise to make it very spicy? Hi Angie, you could easily double the cayenne pepper here to up the heat a bit. I have made this recipe numerous times. I’m a vegetarian but have a husband/child who are not. It smelled so good that I tried a tiny bite! Oh… the flavor. My husband said it was so good that I had to serve it for a Progressive Dinner Party in our neighborhood. I did – huge success. I served it with a Chickpea Sweet Potato Tagine. Thank you Jenn, this dish is a real family favourite – it works well with chicken thighs too. DELICIOUS, DELICIOUS, DELICIOUS! I don’t know if I said it, but this chicken recipe was delicious! I served it with flatbread, tzatziki, and wedges of fresh tomatoes, and it was an amazing meal! Thank you for such a deliciously amazing, and simple recipe! Love all the spices-Husband says it’s the best chicken recipe I’ve made! Excellent dish! I was surprised that it wasn’t a spicy as I thought it would be. My kids ate it up! Exquisite! What I love about Chef Jennifer is that she is just that: A Chef! She does it all and I reap the delicious benefits! 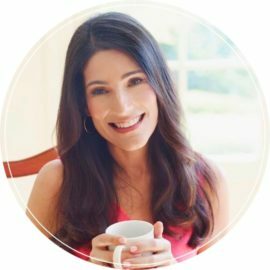 She creates the perfect recipes and makes it so easy for the rest of us! I can not believe how her combination of so many interesting spices blends together so classically to make this mouth watering dish! Loved this! Made it with the carrot chickpea salad and couscous. Mixed everything together for a cold salad the next day – so good! This dish makes a regular appearance on my family menu; it was the first recipe I tried of Jenn’s and it has since made me a regular preparer of her recipes. I am always one to tweak recipes from other sources, but not here. I prepare as the recipe calls, and they always turn out perfectly! Thanks Jenn – I am so happy I found your site! This chicken is AMAZING! I follow the recipe to a T and it gets rave reviews every time. I serve it with the warm couscous salad. Wonderful combination of flavors. Hi Mary, You could bake these at 350 degrees for about 45 minutes, or until cooked through. Enjoy! Do you have any crock pot recipes? Hi Ellen, Definitely not a taboo question :)! While I have a crockpot, I really never use it. I believe that many of my recipes can be converted successfully to a slow cooker. I’ve included some conversion tips here. And glad you liked the Brussels sprouts! Hi Jenn, do I need to boil the marinade before spooning it on as the chicken cooks? So good! A nice combination of flavours , but not so ” spicy” you can serve it to kids. looking for a fast recipe, did not marinade for long, cast iron skillet for time. Excellent! I needed a chicken recipe on short notice, had these spices in my spice cupboard, and decided to try this out. Hands down, one of the easiest and tastiest chicken recipes I have ever come across. I made it exactly as written and everyone loved it. Can this recipe be baked at high heat? Hi Kay, I would suggest using the broiler in your oven. Preheat the broiler and set a rack about 5 inches from the top heating element, then broil 7-8 minutes per side. Wonderful–made these with your apricot couscous. Perfect dinner at the beach! This was amazing!! I combined all the ingredients (minus the chicken) and threw in a handful of parsley, cilantro and the juice of two lemons and pulsed it in the blender. This chicken was amazing!!! The flavours were so nice. My husband was grilling it and couldn’t believe how nice the smell was. We served it with the couscous and carrot slaw. A winning combo! Will make over and over. Thanks? Chicken was moist and very flavorful. Would definitely use this recipe again, maybe next time on pork chops. I tossed long eggplants that I sliced in half in the extra marinade and grilled those too. Yummy! Absolutely amazing! I use boneless, skinless chicken thighs and I broil them for approximately 6 minutes per side. LOVE this recipe. Could this recipe be adapted for kebabs using thigh meat? How would you adjust the marinating/grilling time? Hi Karen, Yes, you could use thigh meat and turn them into kebabs. You’d marinate them for the same amount of time. Grill the kebabs until golden brown and cooked through, turning skewers occasionally, 10 to 15 minutes. Hi Jenn! How far in advance can I marinade the chicken? Hi Erin, I would suggest marinating it no longer than 24 hours. Hope you enjoy! Can this recipe be cooked any other way apart from on a grill? Thank you. Mary. Yes Mary, you can use the broiler in your oven. Preheat the broiler and set a rack about 5 inches from the top heating element, then broil 7-8 minutes per side. Hope you enjoy! This is now known as my specialty within my family! We all love it as it is so flavoursome. I serve it with a couscous salad and I make a tzatziki style dip to go with it. This was excellent! Made it for dinner tonight, and everyone loved it. Only had about two hours to marinade it, but there was plenty of flavor. Didn’t use as much oil as suggested. New family favorite! Great recipe! Wonderful over Charcoal. I also accompanied it with Couscous with dried Apricots, Dates & Cranberries. Made a Yogurt Chive-Lemon sauce to dip the chicken in. great. Thx for a keeper Jen! Definitely– it’s likely to be even more flavorful! All the recipes I have tried here are fantastic but this Morrocan Chicken is my absolute favourite hands down (thus far). Being a lifelong thigh lover, this gave me new appreciation for chicken breasts. Since I already have my spices out I double or triple spice mixture so it’s ready to go at a moments notice since its in heavy rotation here. Perfection !!! Bravo Jen ! Will this be too spicy to serve to my children? Many people have commented that their kids have enjoyed it and didn’t find it too spicy. If you want to play it safe though, you could skip the cayenne pepper :). I serve it to my 4 and 8-year-old, and both love it. I do omit the cayenne though. It’s delicious! We have enjoyed this recipe immensely all summer long. What a hit! Especially with the carrot slaw on the side- soooo very delicious. But now it is November, and I’m wondering if anyone has baked this chicken. Maybe 350 for 45-50 mins? I know you’ve asked about baking, but I just wanted to mention that it works beautifully on the stove in a grill pan (I have no bbq). Our family loves this recipe so much! Sooooo easy! I left out the cinnamon because my BF can’t stand it. Still delish! Made this last minute and used chicken thighs and marinated for one hour and the baked the chicken …,it was so tasty! The whole family devoured it and loved it and wished there was more. Can’t wait to try more recipes. A hit! This dish has all of our favorite flavors and was so easy to make. Even the left overs were devoured the next day. I’m excited to try this recipe and wondered whether it freezes well as I’d like to bring it to a convalescing relative in a few weeks. Has anyone had experience freezing/reheating this chicken, or any tips regarding the best way to do so? Thank you! Although I didn’t get around to freezing this chicken, I have to say it was such a hit with my family, including the 4 and 8-year-olds, which is no easy task. Thanks for the awesome recipe, which was lovely with the carrot salad as a side dish for my husband and me. This sounds good. I love Moroccan spices. I will try substituting stevia for sugar or maybe a drop of honey or agave. We need to try to get processed sugar out of our recipes if it is not absolutely necessary. This is absolutely delicious but beware…it’s very spicy. This was the first recipe from your website that I used. It is perfection. The spices, garlic, and oil meld so well together and the result is what my husband has called “restaurant quality chicken.” I serve it with a couscous salad with cucumber, tomatoes, onion, chickpeas, and feta cheese, tossed with fresh lime juice and olive oil. Delicious! I made this tonight for my son and a bunch of his friends. Everyone LOVED it. I loved how easy it was to make. I had some chicken thighs also, so I made it with both breasts and thighs. I usually prefer dark meat, but in this case we all agreed that the white meat was better with these spices. This will become one of our regulars. Great for a large group and so delicious. I love this! Being a kind of lazy cook, I just quadrupled the quantities of dry seasoning and combined it in a mason jar. I rub a little olive oil on the chicken breast, rub it with the spice mix, let it sit for 30 minutes and throw it on the grill. I’ve got enough of the mix to do this several times and I don’t have to pull everything out every time. Thanks much! My family loved this tasty recipe and I loved it because it is full of healthy antioxidants! I only marinated it for 45 minutes and it still turned out wonderful. Adding this to our favorite go-to recipe list! Okay Jenn, you have been my go-to bomb proof recipe source for several years now, and you’ve done it again with your Moroccan Chicken recipe. I followed your recipe to the letter. This is one of the most moist and delicious chicken recipes ever – not too spicy, just the perfect amount of seasoning, and so fast and easy (LOVE the Sunday taste, Tuesday effort factor!!!). I also served several of your side dishes with it – prosciutto wrapped asparagus, carrot slaw, and warm apricot couscous – SMASHED IT OUT OF THE PARK! I used to feel I needed to test a recipe before making it for guests, but not your recipes Jenn. This entire meal is my new go-to for dinner guests – love it! This is so good and simple, you can cook it in a pan on the stove too. It makes amazing cold sandwiches the next day – so make a lot! Added a 1/4 tsp of cardamom to this and it was extraordinary. Just made this last night. Loved the taste combination, and so easy to prepare for those of us who aren’t expert cooks. My friends and I all loved it. Will definitely be making this again. Next time will try the carrot slaw, which also sounds delicious. Thanks for these great recipes. This Moroccan chicken recipe is delicious. My husband, my 2 year old daughter and I loved it! Thank you so much for sharing your cooking experience and recipes and moreover in an easy way and step by step with pictures. Your website has become my favorite. Thanks again!!! Thanks for the wonderful feedback, Ingrif. So happy you’re enjoying the site! This is a family favorite! We have added so many new spices to our pantry thanks to your recipes. Thank you!!!! I cannot say enough good things about every recipe I try here! My biggest hurdle in the past year has been finding foods that my two-year-old toddler will happily eat and everything we’ve made of Jenn’s has been a slam dunk, but I’m especially over the moon about this one. This has to be my first grilled chicken recipe I’ve ever found that pleases the whole family! Flavor is absolutely delicious, combination of spices is magnificent and it’s not so hot that it’s turned anyone off. My daughter absolutely gobbles it up, and she has refused to eat any kind of grilled chicken until this point (and I’ve tried them all!). This is a MAJOR victory for this mom and I hope it helps to encourage other parents whose little ones haven’t quite yet developed their refined palettes! I just wanted to thank you. First, this recipe is amazing. Second, I never flattened my chicken but since reading a number of your recipes I have started. My chicken cooks so much nicer now. Thanks Jenn. I am uncertain of the arrival time of my guests, can the chicken marinate longer without producing an over powered flavor? Hi Janey, Yes, it’s fine. Hi Jenn. If I purchased store bought chicken cutlets and prepare per the recipe, will they be as tender as pounding the breasts myself? I really don’t like pounding meat. Hi Janey, I believe those cutlets are usually thinly sliced chicken breasts, so it’s not quite the same as pounding, which tenderizes the meat. That said, I think they will still be fine. My family loved the the combination of spices! I don’t have a meat mallet but I used my rolling pin to hammer the chicken which worked just fine. It grills so nicely and is so flavorable. It makes great left overs too! This is a delicious recipe. I added some fresh cilantro and thinly sliced red onions to the marinade. My question is, can I use this same recipe on Skirt steak or Flank steak? Hi Ronak, Glad you enjoyed the chicken. The marinade would be delicious on steak. I made this tonight for the first time. Had to make it in a grill pan because it was snowing outside and I couldn’t use my outdoor grill. The chicken was so delicious!! I might reduce the salt a little next time I make it but otherwise I loved the flavor. Can’t wait to make this again but next time on the grill. Absolutely fantastic! Family loved it! This is going into rotation. Thanks for the recipe! Hi Jenn, You have a wonderful blog with fantastic recipes! The Moroccan chicken looks delicious and will be making it soon. I have often been told that letting chicken sit in ‘salted’ marinade can dry it out. Do you think I can get good results by leaving the salt out of the marinade and salting the chicken right before grilling? Would appreciate your thoughts on this on going ‘salt’ debate. This chicken is so delicious. The chicken came out so tender and flavorful. It is listed as an “Easy weeknight” dish under the menu tab. However, I think it is a great menu for guests, anytime.. I love that the carrot salad can be made ahead of time and the couscous comes together quickly. All my guests have loved it. Yet another way to serve chicken breasts, uniquely different. It used all of our favorite spices. The directions w/pix are always very helpful, even to a seasoned cook like myself. Actually, they aren’t enough stars to go around for most of the recipes I’ve tried this year. Thank you. So nice, Judith. Thank you! Great blend of favors and very tender but way too salty. I would suggest cutting the salt in half. I have tried quite a few Moroccan style chicken recipes lately, and that’s definitely the best marinade. My husband absolutely loved the chicken, while he was somewhat skeptical about some other recipes. I followed the instructions for making the marinade to the letter except that I added 1/4 teaspoon of cayenne pepper. Thank you! This recipe looks really simple and sounds absolutely delicious. I am a beginner in the kitchen. My question is if I had to put the chicken fillets in the oven, how long would I have to cook it for without it drying out? Hi Jivika, Preheat the broiler and set a rack about 5 inches from the top heating element, then broil 7-8 minutes per side. This recipe was hit! My kids love it too! I only left out the cayenne because my kids are pretty sensitive to spicy food. I made couscous using all the same spices (except cayenne) to one cup of couscous that I cooked in chicken broth and a tablespoon of butter. I just cut the spices in half, and added them them to the chicken broth before adding the couscous. That was delicious too! The first time I made this dish I found the marinade a little too sweet so the next time I added extra garlic and cayenne and enjoyed the results. This is so easy with big flavor pay off. I’ve been trying to find a recipe that uses these great antioxidant spices. I love that you can prepare the marinade ahead and even though I’m a picky adult I like it. I made these chicken breast with the carrot slaw as suggested and my husband and I loved them-my boys wanted a little more kick so I might increase the cayenne pepper next time! Great recipe…. very flavorful. This is the second time I made something from your website and it tasted GREAT! Thank you. takes only 3 minutes each side. Oh my gosh, Jenn!!! My family absolutely LOVED this dish! They wanted every drop on the plate. After taking his first bite, my husband said, and I quote: “are you kidding me?” My family always loves everything that I make, but today it went up another notch. The chicken was so moist! 2 things I did differently, I don’t have a grill so I cooked it in a pan, and didn’t cover it and cooked it in the marinade. the chicken soaked up all the marinade because I only used 12 oz of chicken. I didn’t have turmeric (we’re on a REAL tight budget right now), so I used some very mild curry powder which has turmeric in it and everything else was the same. I paired it with orzo pasta with sauteed red bell pepper and carmelized onions in it. I stumbled across your website by accident, but I’m so glad I did. I like how you lay out all the ingredients for us to see and give us each step along the way. It makes it less intimidating. I can understand why you want only to cook for your family. My husband said he’d pay for me to go to chef school because he said I’d do well, but I don’t want to work nights and work hard for people who may or may not appreciate my cooking. My family really appreciated tonight’s dinner and my husband asked me, “does her site have desserts too?” haha, he’s already waiting for the next course! thank you Jenn!!! Thank you. Michelle, thanks for your review. I was wondering if I could make these without a grill and your comments and suggestions were very helpful! Jenn, this was fabulous! I’ve made four of your recipes and all of them will become regular items at my home. It’s so refreshing to have discovered a food blog by a REAL chef! Other food blog recipes are hit and miss, mainly because they aren’t trained cooks. Love your site! This sounds fabulous…I’m going to use the marinade on a boneless leg of lamb. Have you ever had Houston’s couscous salad? It’s great and will be wonderful served with this…either with chicken or lamb as I’m going to make it. I just discovered this website and can tell I’m going to love it! I’m a real foodie and cooking is my passion. I made this with the warm couscous salad and both were easy and exceptional. I couldn’t believe the difference pounding the chicken made. It was so tender. I will definitely be adding this one to the rotation! This was absolutely delicious! I served it with the carrot slaw with cranberry recipe, also was very good. Will be making this again and again. If I changed the sea salt to kosher salt would this be considered a kosher dish to serve at a seder?? I made these and the chicken kebabs over Christmas vacation for the first time (fun getting the grill hot enough when it’s 20 degrees outside) and everyone loved them. The consensus though was that they liked the Moroccan Chicken best and if I could do the kebabs that way. So I did and they were really good. I made basmati rice with garlic, coriander, cumin, cinnamon and turmeric in it to go with the chicken. It made a great side for the chicken. I have made this several times with chicken breasts and we love it. So yesterday I made the spice and olive oil marinade and rubbed it under and over the skin of a whole chicken. After marinating for about an houir-90 min, I roasted it on my vertical roaster. Oh, my, it was fantastic! And imagine if I’d let it marinate several hours! The chicken was flavorful and moist and the skin, crispy. Divine!!! Great idea, Marlene…I think I will try that! This is my family’s favorite grilled chicken recipe. So easy and what great flavors! I baked some tilapia with this seasoning and really enjoyed it. Thanks for posting! Amazing! My whole family loved this, including my 6 year daughter who likes her food as plain as she can get it, nothing “spicy” as she puts it. Highly recommended, everyone wants it again! We loved this marinade. I served it with tomato, corn and avocado quinoa salad. I love this seasoning and usually make an extra seasoning packet to save for next time. I just tried this mix on baked haddock fillets and it was delicious! Yummy! Will try with shrimp next. Made this for dinner tonight, and it was delicious! There has not been one miss yet! This is so easy and tasty! I am going to prepare the dry spice mix to have on hand and just add the garlic and oil as I need it. I think it would be goodman shrimp as well. I meant good on shrimp! Darn autocorrect! Made this with bonless chicken thighs..delicious. Interesting recipe! Looking forward to trying this one! Do you think this flavor combo would go well on salmon fillets, to be grilled, and what about large shrimp on the grill? There are a few spices in here I don’t normally use, so not sure about the taste compatibility? I’d appreciate an opinion on this delimma! Hi Lorrae, I do think it’d work, especially with shrimp on the grill. Made the Grilled Moroccan Chicken, using my stove-top cast iron grill pan. Very happy with the dish – the chicken was moist and had great flavor. Removed and reserved a little of the marinade (before adding the chicken to the marinade) and drizzled it on the chicken at the table. Also served the Carrot Slaw with Cranberries, Toasted Walnuts and Citrus Vinaigrette, which was equally good. Loved this recipe. Served it with wild rice and broccoli. I think it will become a weekly thing! Wow Beth, that sounds like a perfect combination! Tried this recipe and it was delicious! I wouldn’t change a thing. Agree with Liz. Make extra so you can put in your salad the next day and extra dry spice mix for the future. This is a great, versatile recipe that I have made many times-always with chicken tenders-you don’t have to pound them and they cook faster and stay moister. Loved the Moroccan chicken. Easy to make and my family loved it. I’ve made this several times now. Obviously, we love it. I mix the same spices into some mayo and make a great sandwich with the leftovers. I’ve used chicken tenderloins with this which cuts down on the prep time with great success. Thanks for another great recipe! so deliciously simple. even a 2 hour marinade gives great flavor. i agree with DavidB, goes well with a yogurt dipping sauce or some orzo/risotto. very flavorful; tenderized the chicken before also helps keeps it more moist. my Indian mother in law always uses a little yogurt in her marinades, too…tenderizes and makes the meat very moist. These were good but a little dry when I made these. I whipped up a yogurt dipping sauce (non-fat greek yogurt, garlic, salt, pepper, and dashes of the same spices in the rub for the chicken) and that did the trick. NOM. NOMNOMNOMNOMNOMNOM! I made this last night. Super easy, extremely flavorful. I had to share the link with some colleagues today at work! One thing- I made it with fresh ginger because I didn’t see it specified in the recipe…. (then of course I saw the powdered ginger in the picture). No matter, it was delicious. Made this last night with boneless chicken thighs. The flavor was amazing! Never try Moroccan dishes, but this just looked soooo good. My husband and I really loved it. I didn’t have tumeric so I used ground mustard (looked on web to see what I could substiute and that was a choice).Can’t wait to make it again and share with friends. it all sounds great, I can’y wait to try it. Opps! I mixed up my cayenne pepper and paprika! Sure glad my husband likes it hot! This is just perfect. My family would reject anything called “Moroccan” so it will be called simply grilled chicken with herbs. Amazing. No changes needed. This will definitively be in the monthly rotation. My girlfriend is comming in from Calif. and I am making this dish. I’ll let you know how it turned out LuvYa! Amazing flavor combination. Paired well with mashed sweet potatoes. My daughter find this for us recently when we visited her and it was delicious! i made this on saturday and loved the flavor of the marinade, it was perfect. we also had the carrot slaw and some tater tots heated up on the grill. tater tots are totally underrated. Another wonderful recipe – thank you so much! I’m always looking for new chicken recipes, and this one is now one of our favorites! Love, love, Love, Made it just as given and I will make this again! We made this for Father’s Day dinner, and as suggested, served with couscous and the grated carrot salad, in addition to some grilled zucchini. The chicken turned out so tender and flavorful – love the hint of cinnamon! It was a big hit with Dad and the teens! (We had very few leftovers.) I don’t have a meat mallet, so I raided my husband’s workbench and used a rubber mallet wrapped in a plastic bag. This worked like a charm and I think is key to the tenderness of the chicken. Thank you for such an easy, tasty recipe – definitely will do again! I made this marinade the other day and I thought it was absolutely delicious. It’s a little spicy but also a little sweet so I think it had a nice balance to it. Although, instead of grilling it (I’m not a big fan of grilling, there’s too much smoke floating around for me) I baked it for about 45 minutes and then I broiled it for another 10-15 minutes to give more of a grilled look. My family really liked it which surprised me since they are pretty picky. I will definitely make this again someday. The Moroccan chicken paired with asparagus Dijon salad was absolutely so scrumptious, it would have made the Iron Chef or Gordon Ramsey proud!!!!! Three days later I used the same recipe, only used beef shot ribs. My guests thought they were dining in a 5 ***** restaurant!!! Thank you for sharing this culinary delight.!!! Lovely marinade. Because I have small children who wouldn’t at this stage eat the chicken in large pieces, I cut it into slivers and stir-fried it, then added a sauce of pears stewed in cinnamon and rosé wine, pureéd it and added the sauce to the chicken stir-fry, making it a moist, fragrant dish that they would eat. Even my husband had seconds, and he’s quite fussy! Thanks for this wonderfully easy and delicious recipe! made recipe as is…excellent..we will make again I served with carrot slaw..
I’ve made this (with a similar recipe) before to rave reviews. This time, I used your recipe and just substituted pork chops (pounded, of course). The results were amazing and delicious! My family is already asking for it again next week. I will be making this again and again! Easy and so yummy!! Yum! Can’t wait to try this one next. So far every recipe i have tried on this website have been great! I prepared this last night. Delicious and very flavorful. Made a double batch of chicken to slice and serve on salad tonight. Also made an extra “Moroccan Chicken Dry Spice Mix” to prep even faster next time. Thanks, Jenn! Extra spice mix… What a great idea! Made just as written… one of the best grilled chicken recipes I’ve ever used… will use again to make a chicken and pasta salad… served with couscous this last time. Is there an alternative to cooking this (in the oven possibly) on those days that I am not up to firing up the grill? Hi Joanne, You could try an indoor grill pan. Would you suggest a George Foreman over pan-searing then finishing in the oven? The chicken was so moist and tender. Not big cinnamon lovers, so I only used 1/8 tsp worked out great. Going to see how it baked in oven next time. This was delicious and incredibly easy. Both of my kids (7 and 9) really enjoyed along with us. My suggestion: the longer you marinate the better! I left it all day and the flavor was fantastic. I also went very light on the cayenne (just a sprinkle) since I have kids; but i’m sure the extra spice would have made it even better. I made this on Saturday and my boys LOVED it 🙂 It was one that was saved and put in our recipe box 🙂 Very easy to make in the morning, let it marinate and then grill that night! Thanks for sharing! I added some lemon zest and thought the whole recipe was fabulous and exotic! I made this for Father’s Day and it was a huge hit! I served it with your carrot slaw (with walnuts & cranberries) and Ina’s moroccan couscous. All of the dishes went really well together – would definitely make again! The flavor of this marinade was delicious. Big hit with my family. Will definitely make this again. Thanks! Loved the spices in this. I love the simplicity of this recipe and can’t wait to try it. That you so much! I loved this! I made it exactly as you recommended except that I used boneless, skinless chicken thighs instead of breast. It’s easier to control the moistness of the meat with thighs. I did pound them as you suggested which made for some quick grilling. This recipe was so delicious, I’ve put it into my “YUM” file (only the best make the cut). Don’t walk away; definitely, do not overcook. 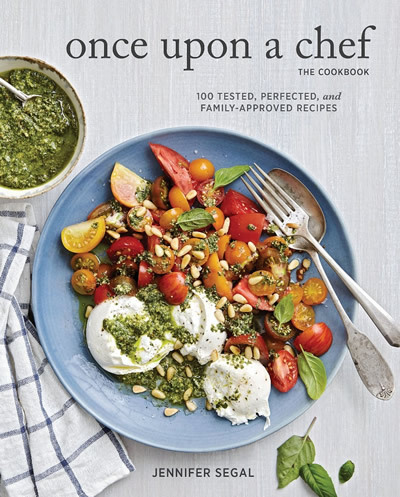 Agreed, this has been terrific for summer grilling and a new family favorite. The tumeric and cinnamon are key, I think. Love throwing in a ziplock in the morning, and then just throw on the grill. I like to grill romaine lettuce & peach halves to go with! This is the perfect recipe for the grilling season. I love how easy it is to marinate the chicken in the zip lock bag. The Moroccan flavor is wonderful, it is a fun and exotic recipe…definitely new flavors to me and I love it. Always looking for good chicken recipes. This sounds like it could be a keeper. Thank you, Jenn!! I will do that Saturday! I loved this easy recipe that made the chicken taste like you slaved all day making! haha now, I’m wondering what you all think about using this marinade on beef short ribs. Hi Joyce, Glad you enjoyed. I think it’d be great on short ribs. What is a good substitute for cayenne pepper? Mother is allergic to cayenne. Hi Dana, Just leave it out…you won’t miss it. Otherwise you can use a pinch of red pepper flakes or hot sauce if you want the heat. I love how easy this seems to make – but looks so fancy. Yum! Sounds yummy. I am going to experiment by adding some lemon juice and zest to the marinade and use it on a side of salmon. Once again, you saved my day! Scrumptious! What’s the difference between the two? Also, have you tried this recipe? Is 3 minutes per side really long enough? I thought you had to cook chicken up to about 160 degrees for it to be safe. Hi Brenda, When you pound the breasts thin like I do here, that’s all the time they need on a very hot grill. Olive oil is fine, as long as you don’t overheat it. If you need to cook with a higher temperature, switch to grapeseed oil. If you use too high a temperature with olive oil, it changes the composition of the oil and also the flavor, and it’s not good to do that to it. That doesn’t happen with grapeseed oil.